Opening Prayer: Father, we think of ourselves as so good and "nice." Help us to see our true condition. Are you "just as good as" the next guy? That's too bad. Are you *better* than the next guy? That's even worse. "Hey, I'm a good person, decent and honest. Why are you insulting me?" Those weren't insults. They were statements of biblical fact. Remember in our first lesson on Romans, we said that biblical truth looks very odd to our natural minds. We can't learn to walk uprightly until we learn which way is up. Until then, upright living will look upside-down and backwards to us. This lesson will help point the way to "up." 1 Therefore thou art inexcusable, O man, whosoever thou art that judgest: for wherein thou judgest another, thou condemnest thyself; for thou that judgest doest the same things. 2 But we are sure that the judgment of God is according to truth against them which commit such things. 3 And thinkest thou this, O man, that judgest them which do such things, and doest the same, that thou shalt escape the judgment of God? 4 Or despisest thou the riches of his goodness and forbearance and longsuffering; not knowing that the goodness of God leadeth thee to repentance? Despite the archaic King James terminology, the meaning of this passage is clear. If you judge and criticize a person for committing the same types of sins that you do, you're in for a worse judgment than the person you're criticizing. The underlying problem is self justification -- trying to pronounce yourself righteous by criticizing other sinners. Hold it, teacher. Doesn't that Bible passage say that I'm really OK, as long as I'm criticizing somebody who's doing sins that I don't do? On a superficial level, you're right. The Pharisees of Jesus' day would have agreed with you. But Jesus Himself was more concerned with the ROOT of sin, which is our human heart. He made it clear in the Sermon on the Mount that inward sin is just as deadly as visible sins. 21 Ye have heard that it was said to them of old time, Thou shalt not kill; and whosoever shall kill shall be in danger of the judgment: 22 but I say unto you, that every one who is angry with his brother shall be in danger of the judgment; and whosoever shall say to his brother, Raca, shall be in danger of the council; and whosoever shall say, Thou fool, shall be in danger of the hell of fire. 27 Ye have heard that it was said, Thou shalt not commit adultery: 28 but I say unto you, that every one that looketh on a woman to lust after her hath committed adultery with her already in his heart. Notice something very odd about these verses: God doesn't view sin the way you and I do. We see a thousand shades of gray between anger and murder. And we see unkind words as 'way down on the mild end compared to murder. Likewise we tend to view impure thoughts as relatively harmless compared to adultery. God sees things differently. He knows our hearts better than we do. God knows that angry words come from the same root as physical violence. To Him, one looks very much like the other. But why is God so... so fussy? Remember that God isn't like you and me. His standard is perfection. If it wasn't for the Big Loophole, you and I wouldn't have a chance of getting to heaven. We'll see that very soon in this lesson. It's important, so we'll let you know when the subject comes up again. 5 But after thy hardness and impenitent heart treasurest up unto thyself wrath against the day of wrath and revelation of the righteous judgment of God; 6 Who will render to every man according to his deeds: 7 To them who by patient continuance in well doing seek for glory and honour and immortality, eternal life: 8 But unto them that are contentious, and do not obey the truth, but obey unrighteousness, indignation and wrath, 9 Tribulation and anguish, upon every soul of man that doeth evil, of the Jew first, and also of the Gentile; 10 But glory, honour, and peace, to every man that worketh good, to the Jew first, and also to the Gentile. Note the first red flag, in verse 5: being hard-headed and having an unrepentant heart before God. In the earlier verses, Paul was saying, "Stop trying to justify yourself by finding fault with others." Now he's saying, "Don't be like Pharaoh, who hardened his mind and heart to the truth -- until it was too late." Someday it will be too late. Someday, God will return and give each of us just what we deserve -- according to His standards, not ours. Until that day, there's hope that you will learn to walk according to truth, through the Big Loophole provided by His Son Jesus, the Messiah of Israel. God knows who has a tender heart before Him. He knows if you have cried out to know Him personally. He knows if you have earnestly sought to know the truth. And even if you have NOT pursued the truth before now, He is gracious enough to have you at least read this lesson. And God earnestly hopes you will take advantage of the Big Loophole, if you haven't already. Then you, too, will receive the rewards described in verse 10: "...glory, honour and peace..." in this life and forever afterwards. Hold it, teacher. What about the heathen tribes in remote countries that might never hear about the Big Loophole of the Gospel, whatever that is? 11 For there is no respect of persons with God. 12 For as many as have sinned without law shall also perish without law: and as many as have sinned in the law shall be judged by the law; 13 (For not the hearers of the law [are] just before God, but the doers of the law shall be justified. 14 (for when Gentiles that have not the law do by nature the things of the law, these, not having the law, are the law unto themselves; 15 in that they show the work of the law written in their hearts, their conscience bearing witness therewith, and their thoughts one with another accusing or else excusing [them]); 16 in the day when God shall judge the secrets of men, according to my gospel, by Jesus Christ. Paul tells us that the heathen are in God's hands. God has placed a conscience in every heart, and will judge every person by the light available to that person. If you're reading this, you have access to a lot of light -- the vast amount of Scriptural teaching available in the English language. You and I will have no place to hide on that day if we choose to ignore the truth and try to use ignorance as an excuse. On the other hand, if you really ARE concerned about the remote tribes, there are many productive avenues to help get the Gospel message to them. Check out the link to Floresta on our Resources page as just one example. Your local church can probably suggest others. But what if I don't agree with the gospel message? What about all the nice people in other churches? And what about my Jewish friends? I'm sure your friends are very "nice" indeed. But God never established being "nice" as a condition of salvation. God sent His Son to pay an enormous price for The Big Loophole. If you and I could escape the fires of hell by being "nice," then Jesus wasted His time and suffered in vain. But what about church members and Jewish people who try to live by the 10 commandments and try to be "good" people without the Big Loophole of the gospel? Good question. But a better question is, "How good is good enough?" In Paul's day, people were either Jewish or heathen. Either they worshipped the God of Israel or the pagan deities or the Emperor of Rome or some "free" mixture of all three. Those who called themselves Jewish prided themselves in having the best theology, the best code of ethics and the only living God that ever existed. And they were right. But could their orthodoxy save them? 17 But if you bear the name of a Jew, and rest upon the law, and glory in God, 18 and know His will, and approve the things that are excellent, being instructed out of the law, 19 and art confident that you yourself are a guide of the blind, a light of them that are in darkness... 23 You who glory in the law, do you dishonor God through your transgression of the law? 24 For the name of God is blasphemed among the Gentiles because of you, even as it is written. 25 For circumcision verily is profitable if you keep the law: but if you are a breaker of the law, your circumcision is made uncircumcision. Paul was addressing people who thought being religious was good enough. Yet in verses 23-24 we see that religious hypocrisy was rampant even then. And in verse 25 we see that being under the law of Moses might be helpful -- if we were capable of fulfilling 100% of the law's requirements. Unfortunately, it's already too late for you and me to be sinless. We've already blown it. For he is not a Jew who is one outwardly. Neither is circumcision merely outwardly, in the flesh. 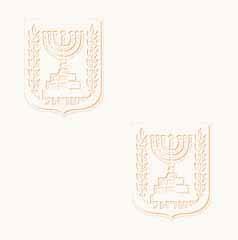 29 But he is a Jew who is one inwardly; and circumcision is of the heart, in the spirit, and not in the letter. Go ahead and attend your Jewish or Catholic or Methodist or Baptist worship services. Don't neglect your religious observances. Just be careful about trusting in your outward religious observances to earn salvation for you -- unless you're ready to meet God's standard of 100% obedience to the Law, from cradle to grave. Of all who ever lived, only Jesus perfectly fulfilled the Law of Moses. But now the righteousness of God without the law is manifested, being witnessed by the law and the prophets; 22 Even the righteousness of God which is by faith in Jesus Christ unto all and upon all them that believe... 23 For all have sinned, and come short of the glory of God, 24 Being justified freely by His grace through the redemption that is in Christ Jesus. These verses changed my life when I first read them two decades ago. I couldn't stand to be called a sinner, but I could admit that I had come short of God's glory. Even though I didn't feel "bad," I needed to repent of self righteousness, of trying to be "nice" enough in my own merits. To this day, I still believe that repentance is a wonderfully healthy way to view the huge gap between God's holiness and my best efforts. God isn't looking for perfect people. Just repentant and teachable people. He just wants His adopted children (you and me!) to love Him, respect Him, and spend quality time with Him. He wants us to approach Him through faith in the merits of His Only Begotten Son's sacrifice on the cross. He wants to give us a heart transplant -- the Holy Spirit living inside our hearts, giving us a new nature and eternal life. Then walk in it. Live it. Feed your new nature with Scripture, prayer and regular attendance in local worship services. Read the Bible, paying special attention to the words of Jesus. Aggressively seek the Lord's presence in prayer, and seek to know Him as intimately as you know your own loved ones. Give to the Lord's work -- not to gain a specific reward or because God needs the money, but because you need to exercise the faith of giving. If you would like to ask further questions or discuss this in more detail, please feel free to send me an e-mail by clicking the "mail-to" link below. Closing Prayer: Lord, my whole life has been a pattern of falling short of Your standards. Please come into my heart, to lead and transform me by the power of Your Holy Spirit. Amen.